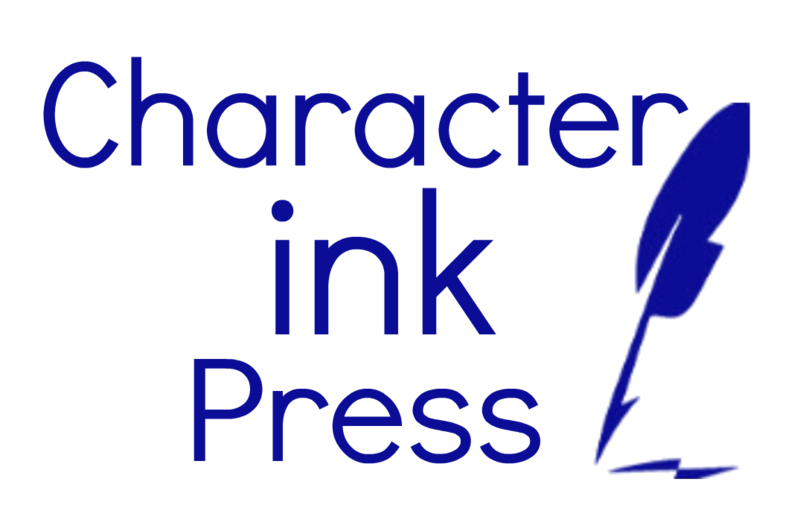 Character Ink 2018-2019 Cottage Classes! Live and Online Options! Click on the icon above to download the class info, schedules, and registration! Character Ink (CI) is announcing a tentative class offering list for the 2018-2019 school year for all three of our locations. Please note that the classes will be offered based on enrollment as of July 1st (for first semester) and November 1st (for second semester), so if there is a class that you want CI to run, please be sure to register early to be sure that class is full enough. Registrations are on a first come-first served basis. A deposit of $50 per student (regardless of number of classes) is required with the registration form in order to hold class spots for a student. Students will be invoiced at the beginning of each semester with monthly payments as needed. You may see the full schedule, prices, descriptions, and forms at our blog by clicking HERE. (See Cottage Classes.) You may also request a registration form by e-mailing characterink@gmail.com . Character Quality Language Arts (CQLA), Spanish, Speech / Debate, Junior High Math, and science classes are two semesters long, sixteen-seventeen weeks per semester. Students registered for these classes are committing to one full semester with the option of continuing on during the second semester (which nearly everybody does). Composition/writing only are one semester classes. If you are registering for CQLA after July 1st or you have questions about levels, please contact Ray at 260-450-7063. Returning CQLA students may be moving up to a new level. Please contact Donna (260-433-4365) for advice on CQLA and composition placement for returning students. Please realize that our classes are heavily academic (i.e. not extra curricular or club- like). Please note sports and other class conflicts before registering. CQLA students’ complete language arts homework requires 30 mins (for Level A), 45 mins (for Level B), and 60 mins (for Level C) of homework four days a week (non class days); other classes require 30 mins a day for homework. Suggested grades are given for all high school classes via grading sheets periodically throughout the semester. Note: All CQLA and Meaningful Composition books have samples available at our blog: CQLA samples— MC samples— If you desire to see whether your student would fit in a certain level, you may want to consult the samples. You may also talk to Donna about your student’s level. Physics 8:30-10:00 am (9th -12 th) $10/wk + $10 / month lab fee; purchase own book. This class will be held weekly with lectures and labs at First Assembly. One semester classes will not be offered this year on Mondays. For students at a 9th-12th grade writing level; complete language arts, including copy work, vocabulary, spelling, comprehension, grammar, usage, editing, prewriting, composition and creative writing. Students may count each semester of this as one semester of high school English/Composition as far as high school credits are concerned. For students at a beginning 6th to 8th grade writing level; complete language arts, including copy work, vocabulary, spelling, comprehension, grammar, usage, prewriting, editing, composition and creative writing. Note: Upper level students may count each semester of this as one semester of high school English/Composition as far as high school credits are concerned. For students at a 4th-6th grade (Pre A grades 2nd-3rd with fewer small motor skills) writing level; complete language arts, including copy work, vocabulary, spelling, comprehension, grammar, usage, prewriting, editing, composition, creative writing, and dictation. High school students using Apologia’s Physics book 2nd edition will learn the concepts of Physics for two semesters of high school science credits. Many class experiments to solidify your understanding and learning. This class will be held weekly with lectures and labs at First Assembly. Limited space. Prerequisite: High School Algebra. High school students Using Apologia’s Chemistry book 3rd edition will learn the concepts of chemistry for two semesters of high school science credits. Many class experiments to solidify your understanding and learning. Space is limited, and the maximum number will be firm this year. Prerequisite: High School Biology and Algebra..Chemistry offered Tues will be a combined on line lectures and monthly (face to face) labs. This class will fill up quickly—two semesters of high school credits for science. Labs, tests, lecture, and more. Complete biology course for students working at a high school level in science using Apologia’s Biology 2nd edition book. Limited space, and the maximum number will be firm this year. This class, appropriate for high school foreign language credit, will cover basic conversation, grammar, and an introduction to Latin American and Spanish cultures. Will be taught by Kayla Reish, who has had four semesters of college Spanish and has used the language in foreign mission work as well as in her nursing work in Texas. This class will dovetail into a Spanish II class the following year to provide two full years of high school Spanish (if desired). This class, appropriate for high school foreign language credit, will cover basic conversation, grammar, and an introduction to Latin American and Spanish cultures. Will be taught by Kayla Reish, who has had four semesters of college Spanish and has used the language in foreign mission work as well as in her nursing work in Texas. This class is a continuation of last year’s Spanish I to provide two full years of high school Spanish (if desired). Exact class time will be determined by those who enroll in this class. This class, using Donna and Joshua’s new high school books, Essays Only and Timed Essays, walks high schoolers who have written multi-paragraph papers through the entire essay process—Five Paragraph Essays, 1-3-1 Essays, detailed quotation use, writing with literature and historical examples, persuasive writing, our signature ADVANCED Checklist Challenge, Donna’s 3 P’s of Persuasion, and much more. This class equips students for SAT/ACT Essays, contest writing, , other timed writing situations (by the end of the class), and much more. This class will take high school students who are accustomed to writing six to eight paragraph reports deeper into report writing in an incremental format. This book uses our signature “Overview Source” method with every step of the research process laid out for the student. Students will use MLA citation methods and will learn to create Works Cited, bibliography cards, outlining cards, formal outlines, and much more. This class prepares students for college research writing and uses Joshua and Donna’s updated-for-upper-levels Four Research Reports book. This is one of our most popular classes and usually fills up quickly—and has limited space due to editing demands. Remedial Writing (6th through 10th grade writing level—junior high and high schoolers without much writing experience should take this class). This class will use our new book, Jump Start I, in order to teach all previous skills, beginning with two paragraph papers through multi-paragraph writing of all types (essays, reports, and stories)—using CI’s Directed Writing Approach. From now on, this class will be called Jump Start I, and it will not say remediation in its title. Remedial Writing (7th through 10th grade writing level—junior high and high schoolers without much writing experience should take this class). This class will use our new book, Jump Start II, in order to teach all previous skills, beginning with four paragraph papers through multi-paragraph writing of all types (essays, reports, and stories)—using CI’s Directed Writing Approach. From now on, this class will be called Jump Start II, and it will not say remediation in its title. This class will introduce upper elementary/middle school students (grades 4 to 8 speaking/writing level) to public speaking through a variety of fun speech projects, including introductions, 5 W, re- telling, biographical, dramatic, informative, and more. This class will be a high school class for students who want to get over the fear of public speaking, for students who want to experience different public speaking styles, and for those students who want to prepare themselves for college and life by having public speaking skills. The student will learn a variety of styles like informative, impromptu, dramatic, research based speaking, persuasive, demonstrative, etc. This class is not a book course but a practical application course. This class will be two semesters so can also cover items like listening skills, logical thinking skills, research skills, and power point presentation skills and then apply them in their public speaking. This class will be a General Science class for 6th-8th grade students. It will use Apologia’s Exploring Creation WithGeneral Science book and will be two semesters long. Labs and experiments will be done in class. Tests and quizzes, lectures, discussion, and more will be provided in class. This class will be using Saxon 7th grade level math book. Students will come to class and turn in previous assignments, get assignments scored, and review problem areas. Then new material will be taught for the next week of assignments. Students at or around 7th grade level are welcome, including any students at that level who are in 5th-9th grades. ...and download my Kid's Faves list plus get access to my language arts freebies! Subscribe to our weekly newsletter... it's FREE! →Sign up to receive articles on marriage, child training, homeschooling and more! We promise that your information is safe with us!